1. 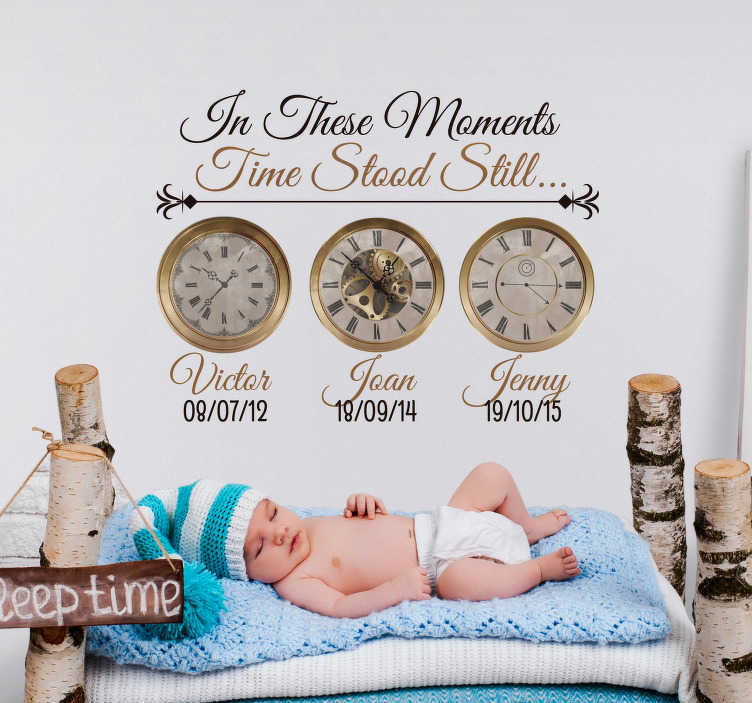 Choose how many births you wish to mark by choosing the quantity of clocks you would like. The default number is 3 due to the 3 different types of clock depicted, however you simply need to email info@tenstickers.co.uk with your request should you want more or less clocks included. 2. Enter the all important times, names and dates respectively. 3. Order this fantastic customisable home decal and eagerly await receiving it!